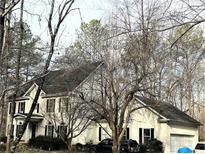 Find Alpharetta, GA Foreclosures for sale. View Photos, Maps and MLS Data Now! Close To Schools, Dining, And Access To 400 In Swim/Tennis Neighborhood. MLS#6530000. Keller Williams North Atlanta. Trotters Ridge - Call Me For More Details About This Loan Product! ! MLS#6099397. Atlanta Communities.